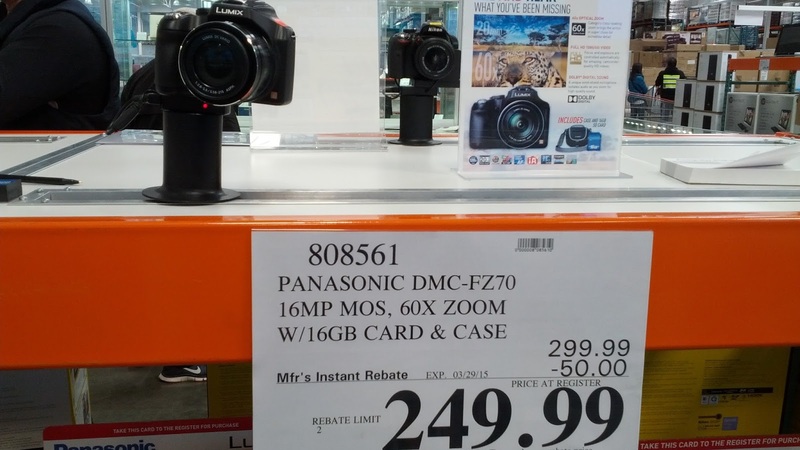 If you want a high quality camera at a decent price, then the Panasonic Lumix DMC-FZ70 digital camera from Costco will work for you. The Panasonic Lumix DMC-FZ70 will allow you to capture and record life's precious moments whether you're a professional photographer or a hobbyist who just enjoys taking lots of photos. This bundle includes everything you need to take wonderful, vibrant photos: camera, 16 GB SD memory card, and a case to protect it. The Panasonic Lumix DMC-FZ70 is easy to use that you can just point and shoot under the automatic default settings, and the pictures it produces are crisp with incredible detail and the zoom is just amazing. You can still take good, close-up photos even from a far distance. 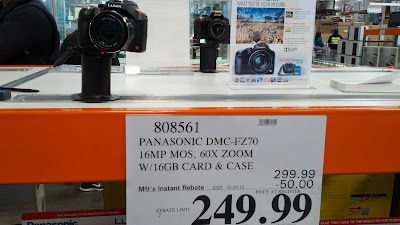 Don't wait and take advantage of the $50 instant rebate that Costco has with this camera. You wouldn't want to miss out on a memorable moment. 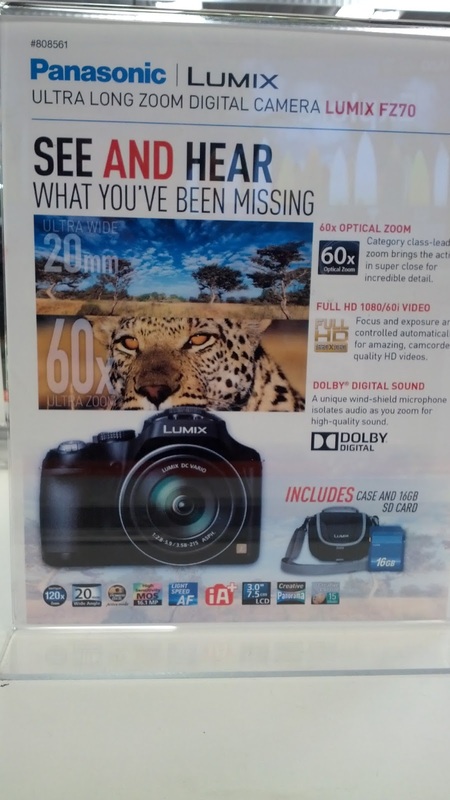 If you prefer something you can easily carry around for, say, travel, then you may want to check out the Panasonic DMC-ZS35 which is smaller and portable. Capture life's precious moments with the Panasonic Lumix DMC-FZ70 digital camera. Panasonic Lumix DMC-FZ70 allows you to take high quality photos and video without the cost of a professional camera. Category class-lead zoom brings the action in super close for incredible detail. Focus and exposure are controlled automatically for amazing, camcorder quality HD videos. A unique wind-shield microphone isolates audio as you zoom for high-quality sound.